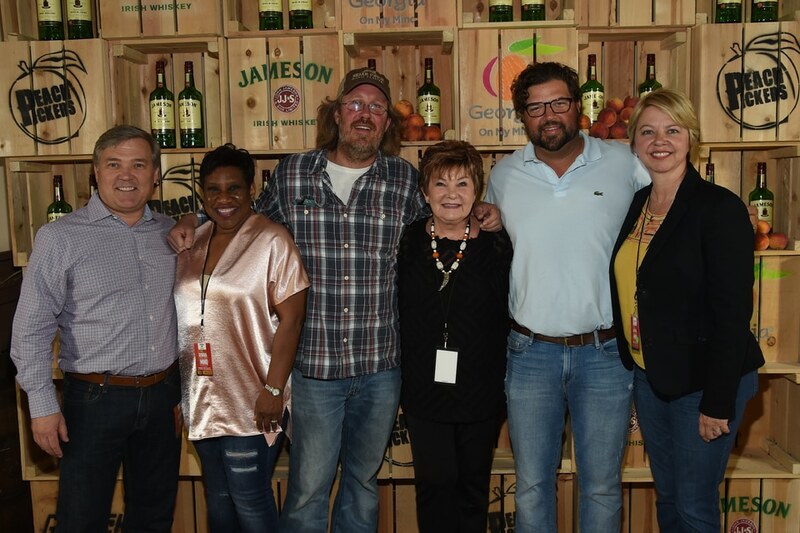 With a cast of stars representing music across genres and generations, the 4th Annual Jameson Irish Whiskey Presents Georgia On My Mind concert hosted by the Peach Pickers raised more than $125,000 for the Georgia Music Foundation. 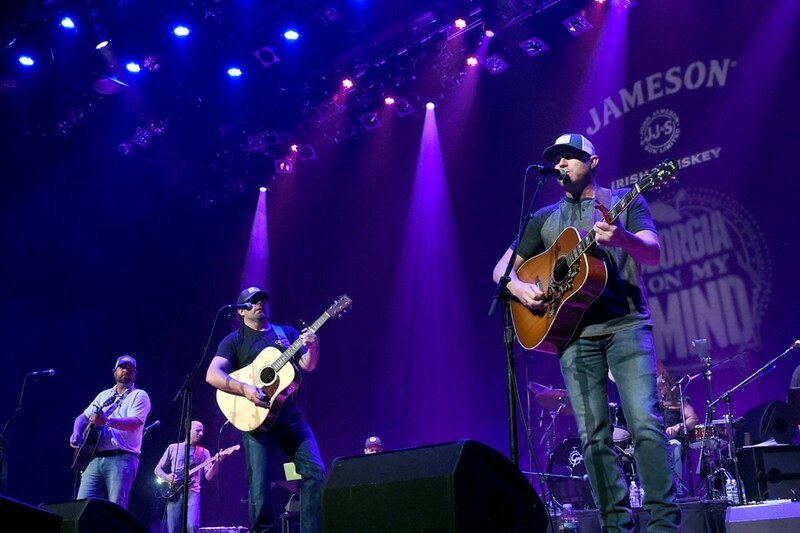 Held on May 16, 2017 at the Ryman Auditorium in Nashville, Tenn., the fundraising concert featured appearances by country stars Thomas Rhett, Billy Currington, Kip Moore, Lauren Alaina, Chris Janson, T. Graham Brown and Jon Pardi along with Georgia Music Hall of Famers Amy Ray of Indigo Girls, Jimmy Hall of Wet Willie and Drivin’ N Cryin, as well as brothers Dexter Redding and Otis Redding III and rising young Georgia singer/songwriters Jon Langston, Cole Taylor and Trea Landon. 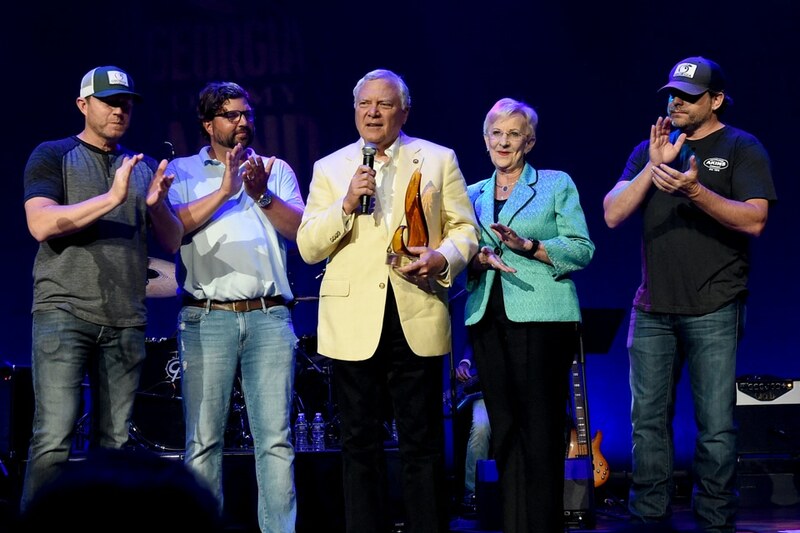 During the concert, the Peach Pickers — the hit songwriting collective featuring Georgia natives Rhett Akins, Dallas Davidson and Ben Hayslip — presented Georgia Governor Nathan Deal, accompanied by his wife, First Lady Sandra Deal, with the Georgia Music Foundation’s Flamekeeper Award. 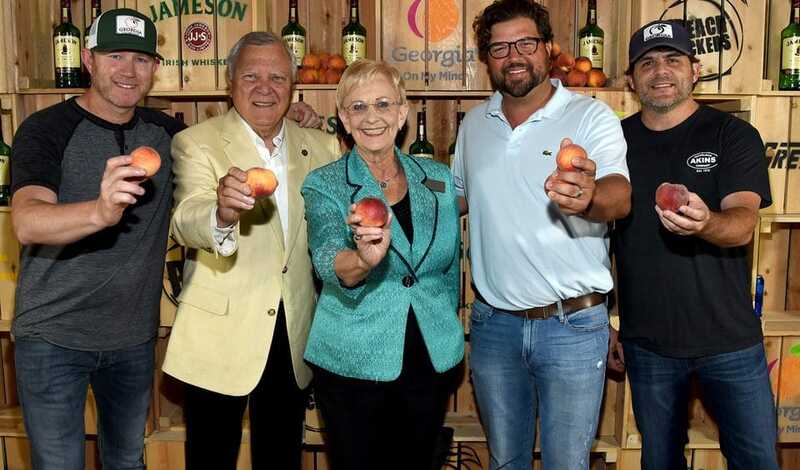 Davidson, who chairs the Georgia Music Foundation, noted that Governor Deal is also a songwriter and joked that he might consider joining the Peach Pickers when his term ends. Davidson also commended Governor Deal for having signed the Georgia Music Investment Act into law the previous week. Dinah Gretsch, who serves on the Georgia Music Foundation Board of Directors, introduced a special performance by students from the Georgia Pick and Bow Traditional Music School in Dahlonega. Pick & Bow, which teaches youngsters to play and sing Appalachian and traditional music, was a 2016 recipient of a $5,000 grant from the Georgia Music Foundation. 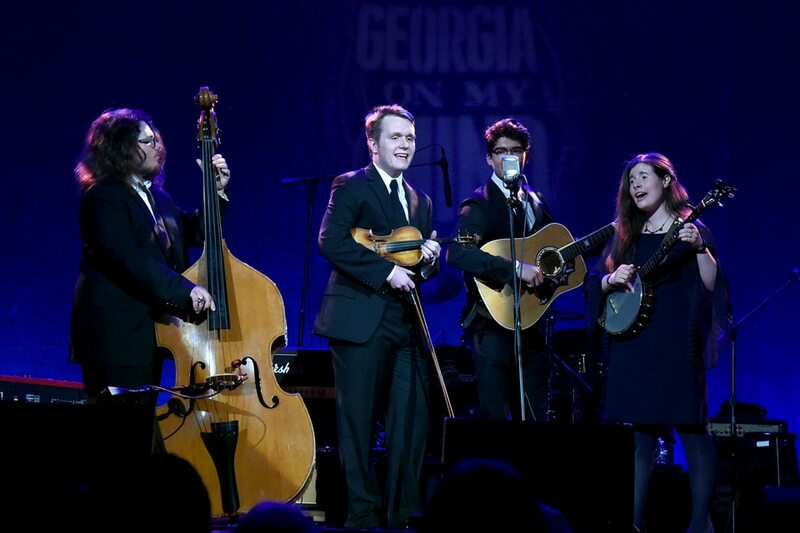 Students Philip Pielow, Hunter Dowdle, Etowah Adams and Hannah From performed a medley of songs and received a rousing response from the audience. The proceeds will help fund the Georgia Music Foundation’s annual Georgia Music Grant program which provides awards of up to $5,000 each to programs of music education, preservation and outreach at non-profit organizations and schools around the state. More than $150,000 have been distributed from concert proceeds since 2014. Grant applications will be accepted online at http://www.georgiamusicfoundation.org between July 15 and Sept. 15, 2017.